Flexible impellers for inboard engine cooling pumps should be inspected once a year or every 250 hours, whichever comes first. But JMP Marine contends that since this requires everything be taken apart, why not simply replace? It’s inexpensive insurance to ensure a boat stays in top running condition throughout the season. Now, the company is offering 20% off its high-quality replacement impellers when purchased through its wide distributor network. 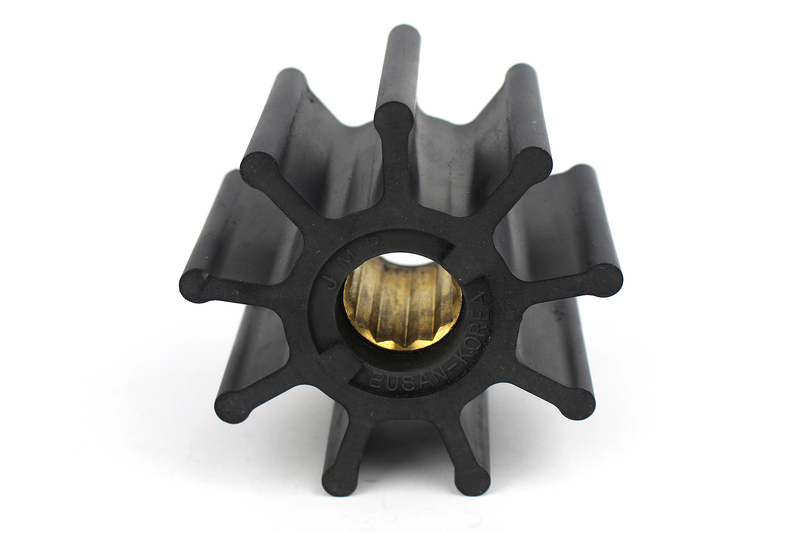 JMP manufactures its quality replacement flexible impellers using a unique, long-lasting rubber blend that resists salt, oil and heat. Available for a wide range of manufacturers’ pumps, they start at $17 retail and come with a 1-year warranty. Buyers must use the code “JMP40” to receive the discount. The promotion runs from April 1 through May 31, 2017. A list of distributors is at www.jmpusamarine.com/jmp-network/distributors. Contact JMP Marine LLC, 13280 SW 131 St., #111, Miami, FL 33186. Toll-free 866-537-3959. [email protected]; www.jmpusa.com.